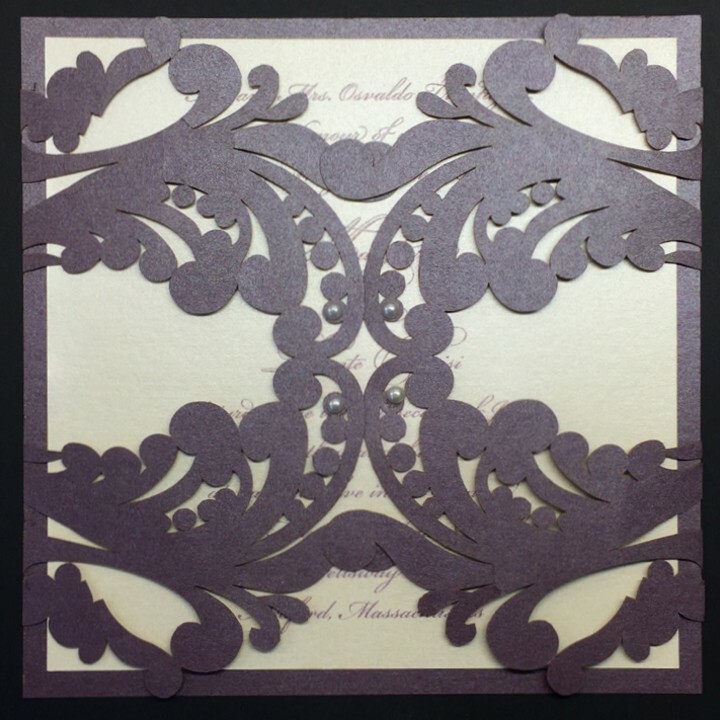 The Flourish Laser Cut Invitation features a unique laser cut flourish pattern design which opens as a gate fold. 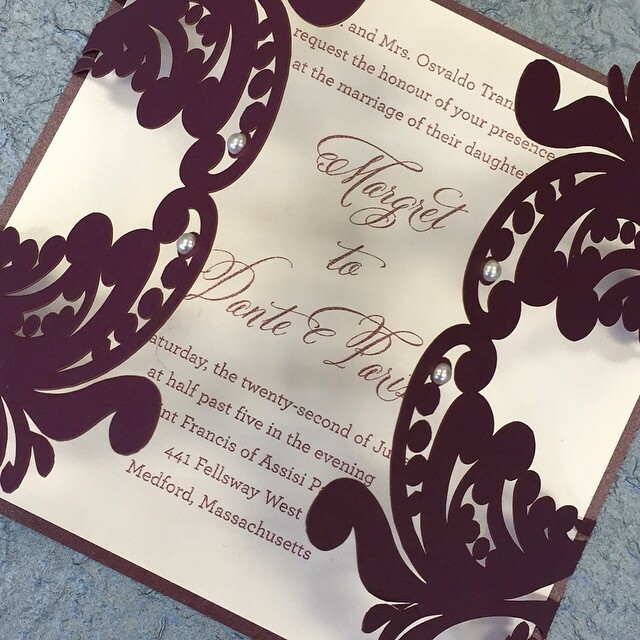 The Flourish Laser Cut Invitation features a unique laser cut flourish pattern design with decorative pearl accents. Opens as a gate fold.